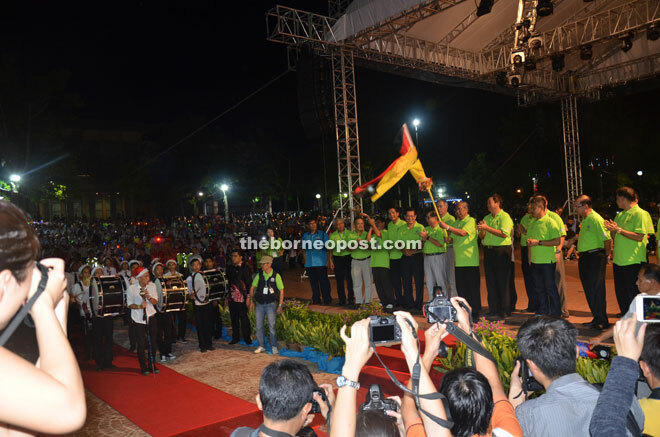 Adenan flags off the parade at Miri City Fan. 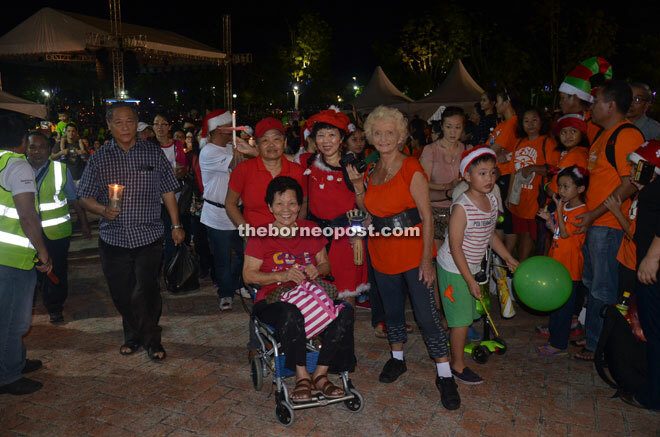 MIRI: Some 40,000 people took part in the eighth edition of the Miri Christmas Parade on Saturday night — the largest so far since the parade was introduced in 2008. Chief Minister Datuk Patinggi Tan Sri Adenan Satem officiated at the annual event, which was coordinated by the Roman Catholic church with the cooperation of 15 other Christian denominations and the Miri City Council (MCC). 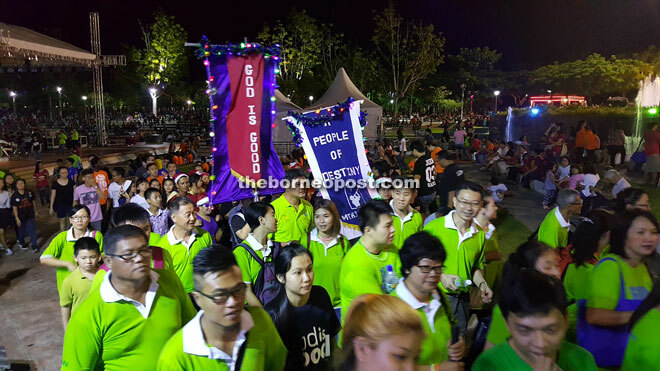 In keeping with its main objective of gathering local Christians to celebrate Christmas, the event consisted of a colourful parade around the city and a variety concert held at Miri City Fan. Besides dressing in colourful attire, members of the various churches were also seen holding up banners and balloons glorifying God in line with the theme of the annual parade — ‘Jesus, The Light of the World’. 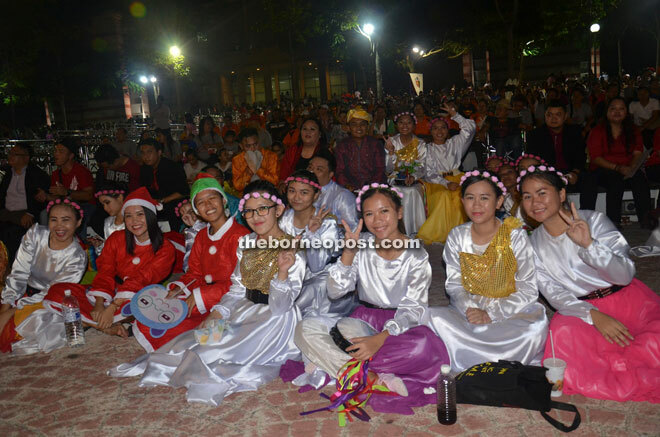 Performances and gospel songs sung by the participating churches and also guest band Sada Borneo (one of the semi-finalists of AXN hit reality show ‘Asia’s Got Talent’) were part of the night’s festivities. There was also a collection of ‘Love Gifts’ in the form of donations from parade participants, which raised over RM11,000. Miri Mayor Lawrence Lai good-naturedly topped up the collection to make it an even RM15,000, which would be donated to various charitable bodies here. Assistant Minister in Communications Datuk Lee Kim Shin also pledged RM20,000 in government grants, doubling the amount given last year to help finance the parade. Dennis Ngau, former deputy chief minister Datuk Patinggi Dr George Chan, former minister of energy, green technology and water Tan Sri Peter Chin, Miri Resident Antonio Kahti Galis, Bishop of Miri Diocese Rt Rev Richard Ng and organising chairman Fr Vincent Shim. Meanwhile, Borneo Evangelical Church of Malaysia had been announced as the coordinator for next year’s parade. Parade participants march along in high spirits. Performers flash peace signs at the concert. Young and old alike, including those who are wheelchair-bound, are involved in the parade.